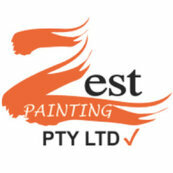 Second time we have used Zest and our personal experience has been very positive. Professional with great attention to detail. Nice people to deal with. Thank you Paul. It was a pleasure working for you! Greatly appreciate your review and we are here for you when ever you need our services. It was a pleasure working for you Sam. Many thanks Elfra, It's been a pleasure working with you. Thanking you immensely for your review and showing your appreciation. We are only a phone call away if you ever need any further assistance, with any of your future property maintenance services. Thanking you, for your appreciation! and we would love to be of further assistance for all of your future property maintenance services. Just call and we will be there in a jiffy to be of service to you. pleasure was all ours and we will be there for your future jobs in a heart beat.